Korea’s position within the IP5 and the important status of many of its corporate giants within the global supply chain make it a fascinating, yet challenging, IP market. Korean companies and research institutions face numerous challenges to protect, maximise and monetise their IP assets, with new threats and opportunities emerging each year. It is against this background that IAM's third annual IPBC Korea was held at the JW Marriot Dongdaemun Square, Seoul on April 26 2018. 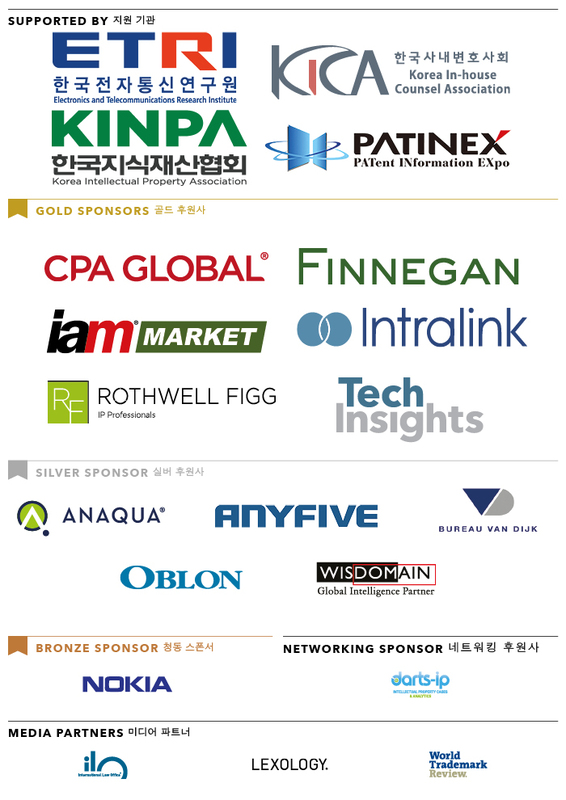 Building on the highly successful events in 2016 and 2017, and leveraging IAM’s ever-strengthening relationships within the Korean IP community, this unique jurisdictional event brought together well over 200 senior IP executives from leading Korean industrials, emerging Korean companies, research institutions and government agencies, plus their international counterparts, to provide an unparalleled opportunity for learning, networking and deal making. The packed, fully bilingual, one-day programme (with simultaneous Korean-English translations) provided attendees with best-practice advice on corporate IP best-practice, with particular attention given to innovation-based growth and international expansion strategies. As with all IPBC events, particular focus attached to the networking aspect of the event to allow senior IP managers to come together to discuss key issues and challenges in a relaxed and convivial atmosphere. For more information on IPBC Korea 2018, please contact Bing Zhao on +852 9751 2206 or bzhao@GlobeBMG.com.